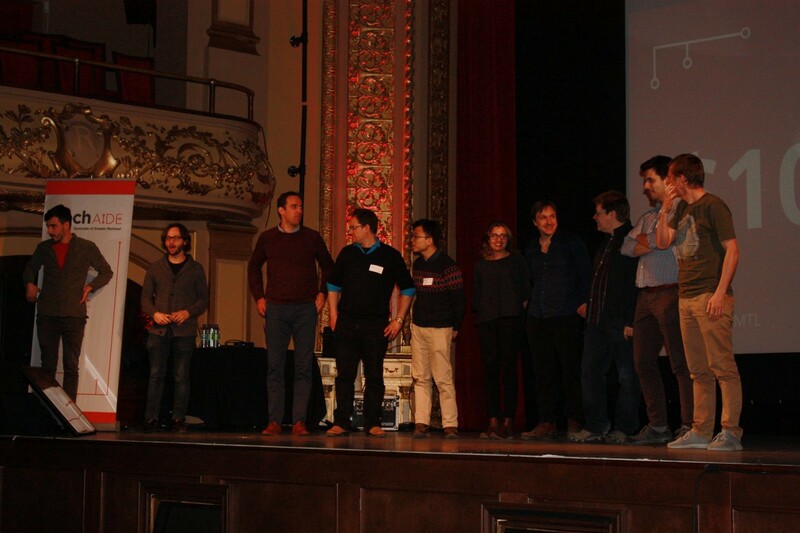 On April 17th, Hugo Larochelle from Google Brain is bringing together some of the best researchers in the Montreal AI community on a single stage for a unique conference benefiting Centraide. Attendees are encouraged to give generously. No matter the amount, every donation counts. To double our impact, Hugo Larochelle has offered to match all donations, up to $25,000! 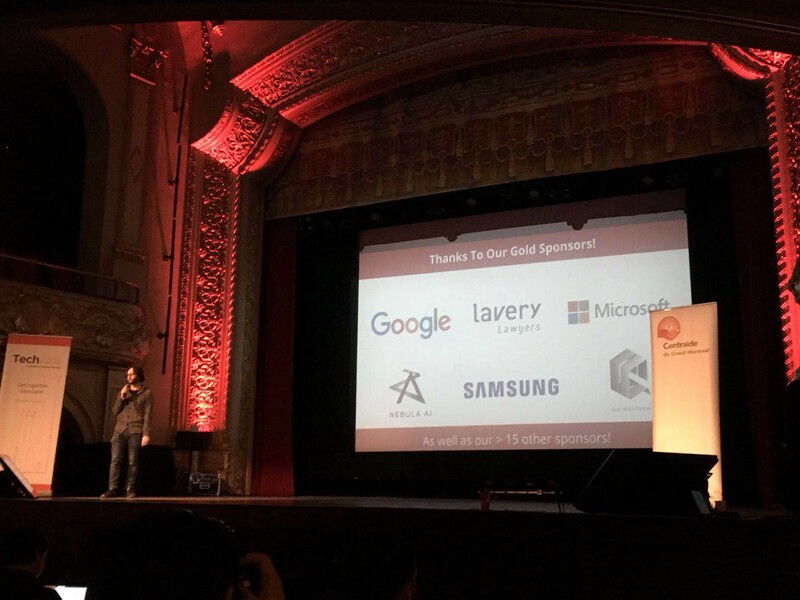 As a gold sponsor, Nebula AI joined techAide AI conference, a scientific event that brings together some of the top researchers, entrepreneurs and students in Montreal AI community. 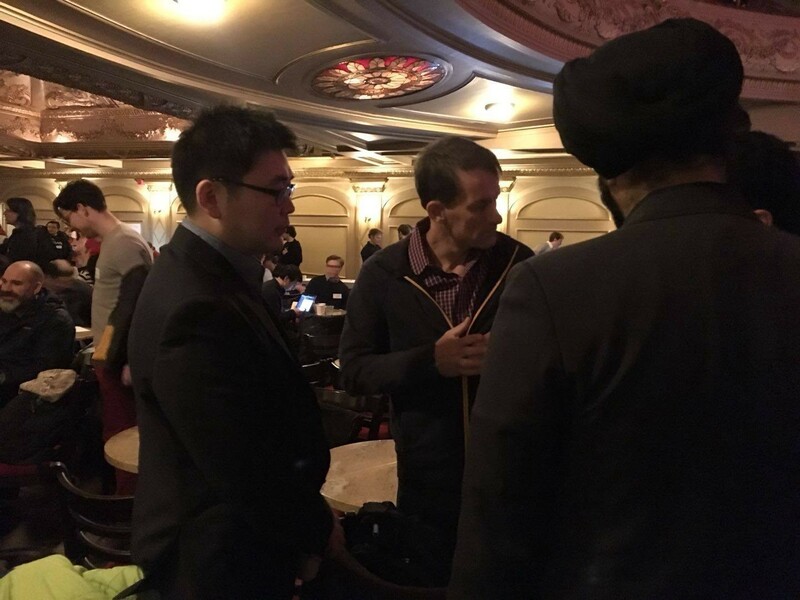 Our founder Charles Cao, AI researchers and engineers are highly inspired by the talks and had in-depth discussion with conference attendees. Jeff Dean, the lead of Google Brain, presents current scientific discoveries and future perspectives of Deep Learning in practical aspects. In particular, Jeff emphasized that developing the huge machine-learning model capable of multi-task, and cascading a large number of specialized computational processing units (TPU) to support model operations will be highly-promoted for AI supercomputing. Dr. Bengio introduced the development process of neural networks. The most important one is that it proposes a new direction which is different from the existing machine learning. The new direction concerns about the characteristics of self-awareness of machine learning, which is more abstract and diverse perceptions and decisions. “What future deep learning needs to do better for cognitive processing, is an endeavor to invent rational, sequential, language-expressible and perceptive cognitive agent”, mentioned by Yoshua Bengio, the head of Montreal Institute for learning algorithms(MILA). Dr. Bengio then talked about the inspiration of neural network from living intelligence. Doina Precup from Deepmind & McGill shared the thoughts of advances in temporal abstraction for Reinforcement Learning. Other AI experts from McGill University, Université de Montréal, as well as Microsoft, talked about the directions of their respective research.